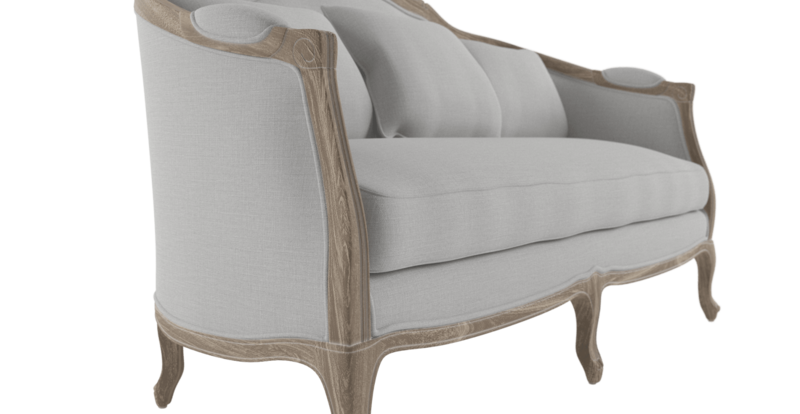 18th Century French design finds a contemporary update in the Provence 3 seater sofa. It's classical shape and exposed timber harks back to it's provincial roots while it's pairing with lush modern fabric tonesadds a design edge perfect for contemporary interiors. It's hard not to stand amazed at the soaring lines of the Provence 3 seater sofa. A masterpiece of woodwork with it's curves, subtlelines and amazing silhouette. 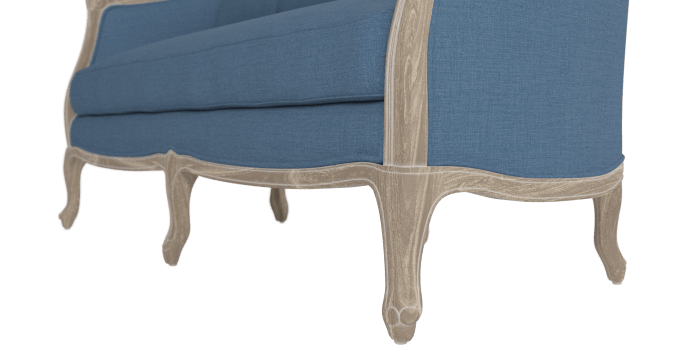 Featuring solid oak legs detailedin a waxfinish for that natural timber look, the Provence 3 seater sofa exudes an understated elegance that draws the eye without demanding attention. A sophisticated piece for the most stylish of homes. 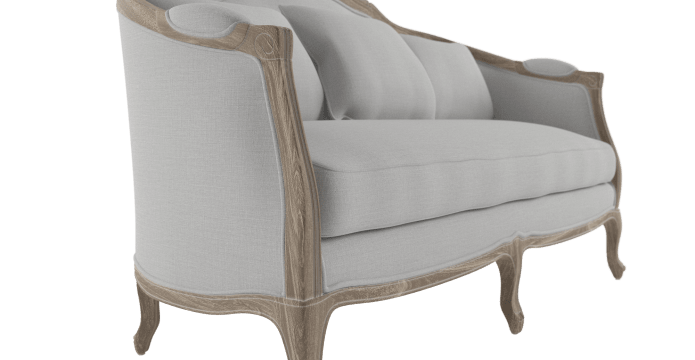 There is plenty of seating room with the Provence 3 seater sofa with ample space for multiple parties to sit in, get comfortable and enjoy it's carved oak frame. I love Brosa. All the furniture I have ordered has exceeded my expectations. I couldn't believe the value and to have my couch delivered to my door within the week was delightful. Order placed from WA and in just one week had a phone call from transport company to advise delivery available. Extremely happy with the high quality. They look stunning in our building foyer and definitely add to the Palladian theme. 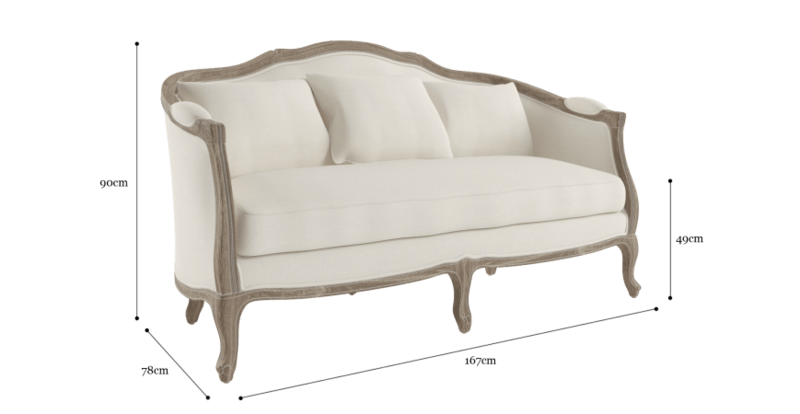 I have received my Provence 2 seater sofa and 2 armchairs within 3 days of placing the order, and it's too beautiful. I and my family are loving the sofa and the armchair. Looking forward to order the 3 seater soon. Thank you brosa for making my living room so gorgeous. Products are awesome and I didn't wait long for the product to arrive. 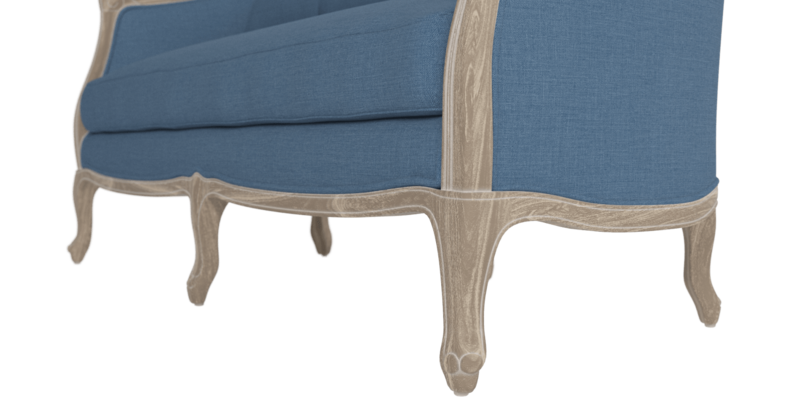 See, touch and feel our fabrics used on our Provence 3 Seater Sofa. For Free! Simply select up to 3 fabrics and add them to your cart. Delivery is on us.